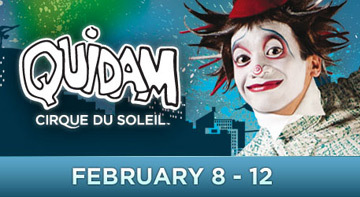 ChiIL Mama : We're Giving Away Tickets to Houdini Box, Cirque Du Soleil's Quidam & Windy City Circus! We're Giving Away Tickets to Houdini Box, Cirque Du Soleil's Quidam & Windy City Circus! Enter at the bottom of this post for your shot at 3 fantastic, family friendly shows. ChiIL Mama's giving away free four packs of tickets to all of them!! Enter here to win--ENDS AT MIDNIGHT TONIGHT (THURS)! Winner announced Friday at noon. Tickets good for Saturday 1/28/12 at 11am. Enter with the Rafflecopter form at the bottom of this post. **For parents and older kids, we also have a pair of (18+) tickets to see Clip Art at Schubas. **This is your last chance to win Clip Art Monday tickets, so click this link and enter here. ** Our winners for both will be announced this Friday at noon. 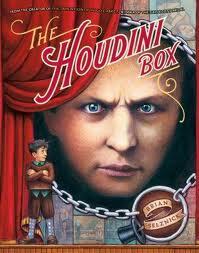 The Houdini Box, is based on a book by the creator of The Invention of Hugo Cabret! This production also features original music by Mark "Mucca Pazza" Messing. Then we'll be checking out the opening night show on and we'll have a full review up for you shortly. Author Brian Selznick is also slated to be in the audience. As famed escape artist Harry Houdini circles the globe performing one incredible stunt after another, Victor, a young devotee goes through his own rigorous magician’s training – locking himself in closets, holding his breath under water and walking into walls. After a chance encounter with his hero, Victor receives a special box that just might contain the secrets of Houdini’s great success. Master puppeteer Blair Thomas will direct and create sets and puppets for CCT's The Houdini Box, already a recipient of two prestigious development grants from the National Endowment for the Arts. Book and lyrics are by Hannah Kohl, with original music by Mark Messing, music director of Chicago's #1 circus punk marching band Mucca Pazza. Performances of Chicago Children's Theatre's The Houdini Box are Jan. 24-Mar. 4, 2012 at the Mercury Theater, 3745 N. Southport Avenue, Chicago. Note: Subsequent Friday 7 pm performances on Feb. 3, Feb. 10 and Feb. 24 will be an expanded "An Evening of Magic," including the show followed by award-winning magician Brett Schneider performing amazing feats of magic and illusion. Tickets to all performances are $15-$36. For tickets and information, go to chicagochildrenstheatre.org or call the Mercury Theater box office, 773.325.1700. Good for your choice of performances Feb. 21 – 24 (pending availability). Enter through Monday 2/13 at midnight. Windy City Circus, an all-new locally produced professional circus featuring jaw-dropping circus acts and hilarious characters from around the world, will make its debut inside Navy Pier’s Festival Hall, 600 E. Grand Avenue, Feb. 17-26, 2012. This exciting “circus with a purpose” will have a strong hometown feel, featuring cameo appearances by an assortment of famous and infamous Chicago area historic figures. 80% of net ticket sale proceeds will go to benefit the Ronald McDonald House Charities® of Chicagoland & Northwest Indiana and the Special Olympics Chicago and co-sponsor Special Children’s Charities. 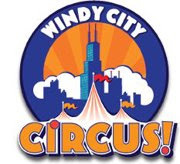 Windy City Circus is proud to announce its new partnership with the City of Chicago to celebrate the city’s 175th birthday. This will include a special salute during every performance of the circus throughout its 10 day run. 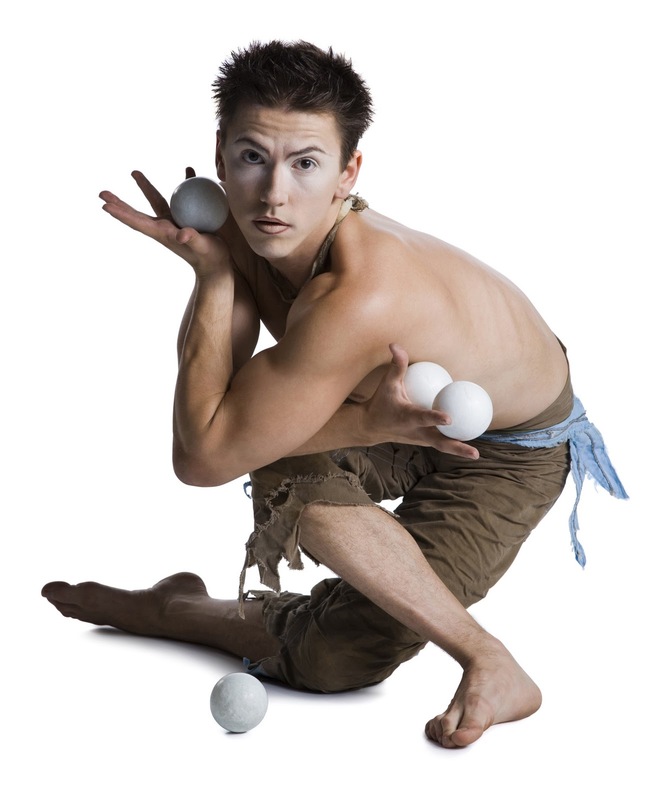 David Maas is the Big Top producer and founder of Windy City Circus, and also will serve as master of ceremonies. A renowned magician and the star of many American and international circuses, Maas is best known as the co-star of the “World Renowned David & Dania Quick Change,” in which he and Moscow Circus veteran Dania Kaseeva Maas perform an astonishing series of split-second costume changes, an act that has been featured on such programs as “America’s Got Talent” and “The Oprah Winfrey Show,” and also has wowed stage and arena audiences world-wide. At Navy Pier, a colorful circus scene will be designed inside Festival Hall, and Windy City Circus audiences will sit within 50 feet of the performance ring. In addition to David and Dania’s “Quick Change,” Windy City Circus will feature an internationally acclaimed roster of circus stars, including aerial and trapeze artists, clowns, jugglers and animal acts. Performances will run Feb. 17 – 26, with performances every day. Performances are: Tuesday – Friday at 10:30 a.m. and 7:30 p.m. Saturdays at 11 a.m., 3 p.m. and 7:30 p.m. Sundays at 11 a.m., 2 p.m. and 5 p.m.
Ditto on the awesome giveaways! Saw Quidam years ago. Hope we get to take my little guy this time around! Dumb question, but how do I find the facebook link to my post? it was so great to see you last night (and last friday! )...we need to chat more when we are at these things!